I started What To Cook Today in 2010 as my little corner to document all the recipes and you know…just to pour my thoughts there! 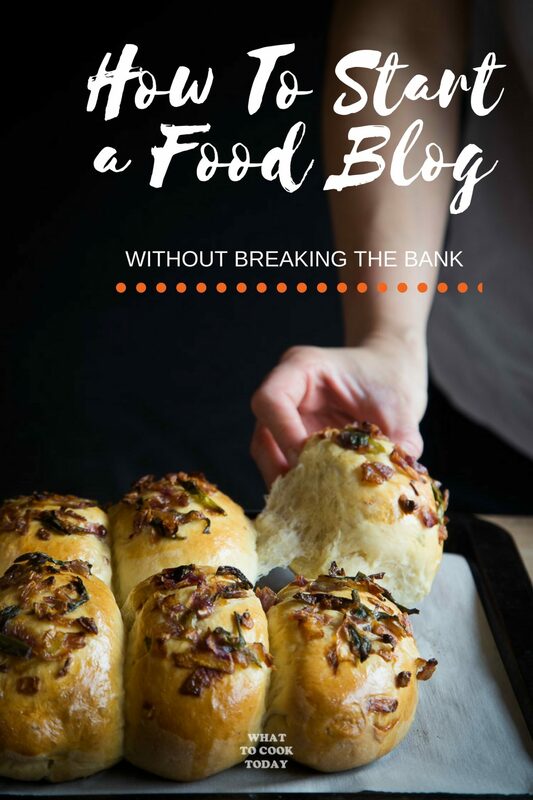 Now I am a self-proclaimed food blogger and making some income from it and so I want to share with you how to get started with blogging (food-related or not!). IS IT EXPENSIVE TO START A BLOG? When I started out 7 years ago, I was pretty conservative about it. My husband is the sole provider, we were expecting a baby too and the last thing I wanted was to add another burden to our economy. My monthly expenses I spend on the blog was roughly about $12.51/month. I used a free template for few years. I wasn’t making much of anything because I knew nothing about making money from blogging and my hands were tied with one baby and one toddler for few years and I just couldn’t really focus on blogging. My current expense on the blog for the past 2 years is roughly about $43/month and is it worth the $43 I’ve been paying each month? OH YES!! Wayyy worth it! I anticipate that as the blog continues to grow, the expenses will rise too, but my thought is, you invest a little more and you gain so much more too. You might also ask “Why can’t I just use free blogging service from WordPress or Blogger? If you are serious about blogging and want to make income from it, you DO NOT want to go for the free blogging service. Trust me on this one. Your opportunity to monetize is super limited. My suggestion is, do it right from the beginning!! Okay you are still reading? Great…let’s move on to why you are here! To start a food blog or blog in general! Once you think of that special name, don’t forget to register for a domain using that name. You want your domain URL (yourblogname.com) to match your blog name. It only makes sense! Ever since Google announced that they prefer sites to be secured starting October 2017, many websites have switch from HTTP to HTTPS, including mine. Per the email that I received from Google, they will show HTTP sites as “insecure”. Have you ever seen the little “padlock” sign near the URL? SSL allows secure connections from a web server to a browser. That means the site is secured. I recommend getting a HTTPS from the beginning instead of waiting because in a way it is almost mandatory, if you care about Google that is 😉 Ask your web hosting provider about it and they can set it up for you and it costs only few bucks a month. Your blog won’t be “alive” if you don’t host it somewhere. It needs a place to live, like you and I. For starter, sign up with Bluehost and they also give free domain. If you are ready to move on from starter, I would highly recommend WPopt, which is what I’m using now. They have amazing customer service and fast respond. The owner helped me to solve a problem that my ex-hosting company could have solved (but they were lazy!) without even charging me a cent and I wasn’t even their customer yet. That’s when I decided to switch to WPopt. No regrets! I personally use WordPress as my blogging platform and so that’s what I recommend. If you decide to go with Bluehost, here’s the step by step guide from them to install WordPress. 1. Great design: Something that pleases your eyes. 2. Ease of use: It’s easy for your visitors to navigate around. It’s intuitive and they won’t feel like they are lost on your site. 3. Responsive: It is mandatory nowadays for the theme to be responsive, meaning whether your visitors are coming from desktop, mobile, and tablets, your blog content will be displayed nicely and adapting to the device your visitors using without them having to enlarge or minimize something because it’s so out of proportion. 4. Great support: I can’t tell you how many times I have to email the tech support to ask some questions about my blog designs or to make some adjustment and they are more than happy to help with my questions or refer me to someone who can help. So, make sure you have that! The same people who build the Genesis Framework. They have beautiful elegant professional themes too. You can just purchase the theme (if you already have genesis framework) or the theme + genesis framework for $129.95. This is a one-time purchase, not monthly reccuring expense. YOAST SEO: It’s a powerful tool that can help your site to be search-engine friendly. I’m still using the free version. Blogging is one thing, but if your site is not found by the search engine, pretty much no one will know your existence. WORDFENCE SECURITY: This is actually recommended by my hosting company. It helps to keep your blog safe. I can’t tell you how many times people from all over the world are trying to hack into my wordpress! Wordfence Security will also help to block brute force attacks and give you security alert. WP SMUSH: Some of my post can have like 10 images and so, WP Smush will help to resize the image without losing too much quality. It’s a must to ease the load on my site. WP RECIPE MAKER: I started out with the free version, which is actually a super nice free recipe card. Takes care of all the SEO metadata for Google Rich Snippets automatically. 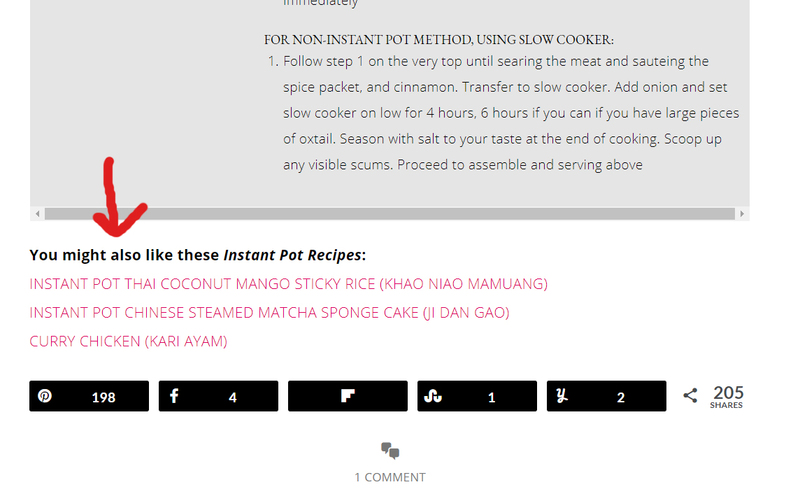 I tried it out for few months and converting my old recipe cards to WP Recipe Maker was uneventful and pretty seemless. I later on decided to upgrade to the premium version where it has more features such as being able to add affiliate link to your ingredient list, adjustable serving size, etc. Have I mention great tech support too? This is one of the important thing to me these days. SOCIAL PUG: This is one of the most popular social sharing plugins available these days. Majority of social share buttons can really slow down your blog. But not Social Pug. I pay $29/year and they have amazing support if you ever need one. If you ever changed from http to https, you won’t lose your social share counts. The free version won’t do that. SUMO ME: I started out with sumo me by using their social sharing features. You can do so too if you are not willing to pay for any plugin because you just started out. I still have the plugin now for pop-up Email subscription. My readers can sign up for my monthly newsletter delivered to their email if they sign up. LITESPEED CACHE :This free plugin is also recommended by my hosting company. It helps to speed up my site A GREAT DEAL! When your site is effectively cached, you will notice an instant improvement in speed and loading. Any related/popular post plugins. Yes for real. I used to have that and I like it too, BUT, I noticed that nobody really used that, at least not on my site. What I do is I linked my own at the end of my post for my readers to check out if they want to. It’s a bit extra work, but you only do the work once, and it really not that troublesome! Broken link checkers plugin and Backup plugin are also heavy resources, so try to avoid those if you can. Google Analytics: This tool helps to track the traffic coming to your blog. YES, many companies that want to work with you in the future, want to know your blog statistics. Google Analytics can tell you a lot of things about your site. Google Webmaster Tools/ Google Search Console. It allows webmasters to check indexing status and optimize visibility of your site. If your site is not indexed properly by the search engine, well, you won’t get much traffic! Feedburner: this will allow your readers to subscribe to your RSS feed, meaning whenever you post something new on your blog, they will get notified. Now, my friend, you are ready to publish a post 😉 It seems like a lot of things, maybe it is, but trust me, you only have to set the majority of these things once! I wish at the time when I started getting serious about blogging, I had a list like this to tell me what to do. There was a lot of fumbling around, but you know, I survived. I’m not an expert but I can definitely share with you what I’ve known so far. Good luck with your blogging!